Mr. Hussein Abdi Dualeh, Minister of Minerals and Energy and Sheik Khaliil Abdillahi, Minister of Religious Affairs, Mr. Farhan Aden Haybe, Minister of Aviation Mr. Kaysar Abdillahi Mohamed, deputy Minister of National Planning together with Mayors of Baligubadle Salahley ,Sabawanaag were among the participants of one day Public Awareness & Community Engagement workshop and organized by the Ministry of Energy and Minerals Resources held in Hargeias town in prelude to oil exploration activities which are expected to start soon in Maroodi Jeh and Hawd regions. 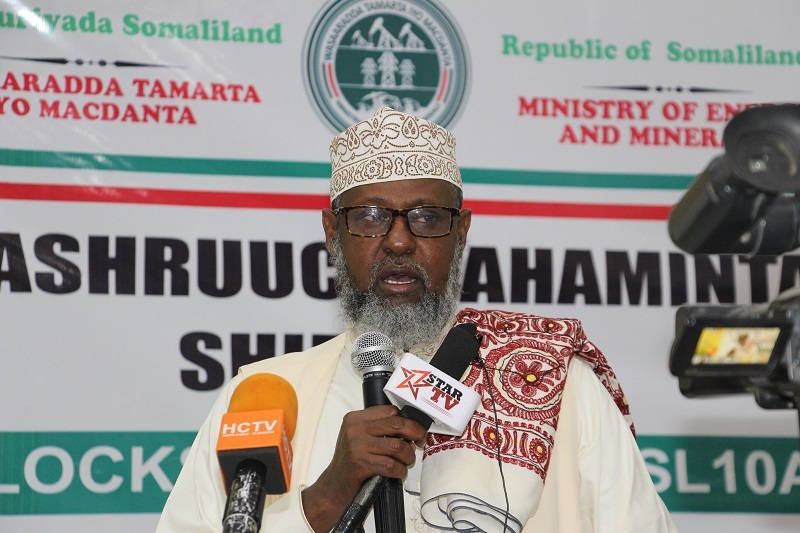 Mr. Abdillahi Jibril Gahnuug (Buraale) speaking during the opening of the public engagement workshop said, “The extraction and development of oil in the will bring many benefits to country and much needed job creation, moves towards middle-income status and we (Administrators) in the regional and district levels are ready to work with the ministry of minerals and energy to realize these efforts. 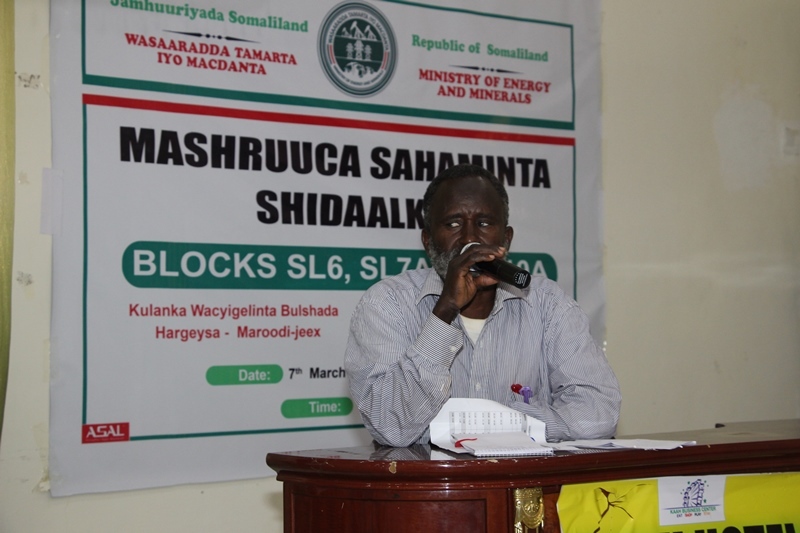 The Minister of Energy and Minerals Mr. Hussien Abdi Dualeh, speaking during the opening of the one day Public Awareness & Community Engagement workshop said, “The aim of this workshop is meant to engage the community through public awareness of the oil industry development and as soon as the process, heavy duty vehicles will be deployed to explore and map what inside the ground this is because we in Somaliland, we are in the process of developing a modern hydrocarbon industry and there is no scientific data to help us predict the existence and location of commercial quantities of hydrocarbons. 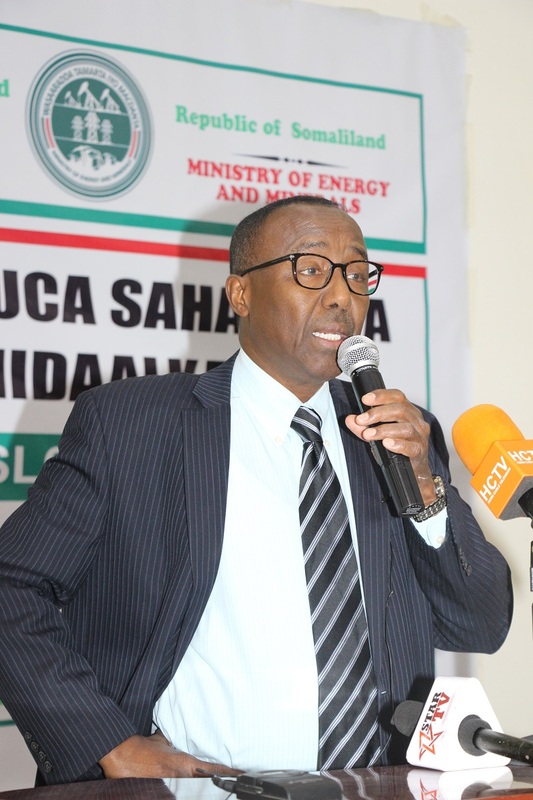 Mr. Hussien Abdi Dualeh further added, “BGP which is the Chinese company which is undertaking the exploration process will bring in heavy equipment from different countries and also shall be responsible for funding fund all the costs and takes all the risk that it will to find hydrocarbons in commercial quantities. Lastly Mr. Said Ahmed Jibril, the director general in the Ministry of Energy speaking during the forum gave details of the proposed exploration activities.